Jimmy Lee Swaggart was born March 15, 1935, in Ferriday, Louisiana. Ministering the Word under the anointing of the Holy Spirit, he preached to stadiums filled with capacity crowds around the world and, pioneered televangelism through his weekly telecast. In the 1980's his television programming transmitted to over 3,000 stations and innumerable cable systems each week. Reverend Swaggart's telecasts were seen by more than 8 million people in the United States and by more than 500 million people worldwide, making it the most widespread mass communication of the Gospel in history! Reverend Jimmy Swaggart first started his television ministry in 1975 and it continues today, over 38 years later, airing nationally and internationally to a potential viewing audience of over 80 million. The weekly Jimmy Swaggart Telecast and A Study in the Word are seen nationwide and abroad on 78 channels in 104 countries and live over the Internet. Television has enabled Jimmy Swaggart Ministries to carry the Good News to people in every part of the world and his messages have been translated into 11 different languages. From the vast slums in Manila to the mission fields of Russia, television is the primary tool this ministry is using to reach countless numbers of lost souls. Reverend Jimmy Swaggart is the President of the SonLife Radio Network which is heard nationwide on over 78 stations and around the world via the internet. 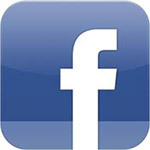 Since its launching on June 26 1995. 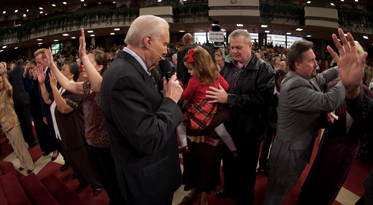 At the end of 2009 Jimmy Swaggart Ministries launched the SonLife Broadcasting Network. SonLife Broadcasting Network is a Christian Television Network which airs nationally and internationally to a potential viewing audience of over 80 million. The network is a outreach of Jimmy Swaggart Ministries and offers live and pre-recorded programs that appeal to a wide audience base. 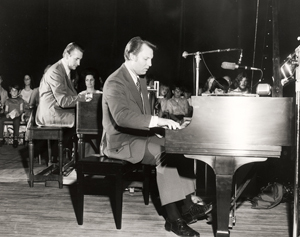 Jimmy Swaggart Ministries has long been known for its anointed music. Reverend Swaggart has recorded over 50 Gospel Albums, with approximately 15 million Recordings sold worldwide. His first album, Some Golden Daybreak, was made primarily to have a record he could give people at his early revivals. Recognizing his gift, Frances Swaggart began encouraging him to contact radio stations. As Jimmy Swaggart's songs began to be aired on radio, the public response was overwhelming. In the spring of 1958 Sam Philips (the producer who discovered Elvis Presley) had sent for the small town, piano-playing, preacher to come to Memphis. He wanted to sign Jimmy Swaggart as the first Gospel artist on the Sun Record Label. However, with a heart to minister the Gospel, the young Swaggart turned him down. In 1974 Jimmy Swaggart was voted Favorite Gospel Music Artist for "Singing News". In 1977 "Record World" Magazine honored him as Male Vocalist of the Year. In that same year Jimmy was a Dove Award finalist in three categories: Male Vocalist of the Year, TV Program of the Year, and Instrumentalist of the Year. 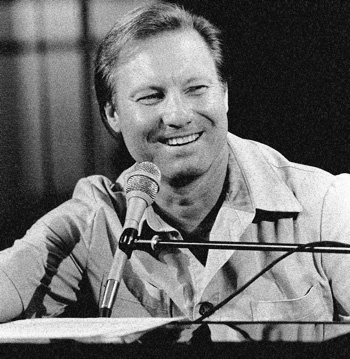 Again in 1978 Jimmy Swaggart became a Dove Finalist as Instrumentalist of the Year, and in 1980 a Dove Award finalist in four Categories: Children's Album of the Year for "Color Me a Story," Instrumentalist of the Year, Year's best Traditional Album for "Homeward Bound," and Best Gospel Album of the Year for "Worship." The prestigious Grammy Awards nominated Jimmy's "Live from Nashville" for Best Album in 1976, and again in 1980, Jimmy's "Worship" album became a Grammy finalist. Reverend Jimmy Swaggart is the author of several Christian works offered through his ministry as well as the author of the Expositor's Study Bible (which has sold over 1 million copies and is available in English, Spanish, Portuguese and Russian languages, with German and French also in the pipeline). The leather bound edition of the Expositor's Study Bible is the fastest selling Study Bible in the world. He has also written 13 Study Guides and 36 Commentaries on the Bible. The first issue of the monthly magazine, The Evangelist, was four pages and printed in black and white. The present full color glossy edition is distributed online and throughout the world. Rev. Swaggart is the Pastor of Family Worship Center, in Baton Rouge Louisiana, a multi-cultural, interdenominational, Full Gospel Church that continues to be the spiritual hub of the ministry. Thousands of lives are touched in the three Campmeeting Services held each year, while the weekly Services continue to grow under a fresh Anointing of the Holy Spirit. Reverend Swaggart is married to Frances Swaggart and has one son, Donnie Swaggart. Donnie Swaggart is a dynamic minister in his own right and not only serves with his father, but travels at home and abroad boldly preaching the unchanging Word of God. Rev. Swaggart's beautiful wife, Frances, is a crucial part of the day to day functioning of the ministry and hosts the popular SonLife Radio program, Frances and Friends. Reverend Jimmy Swaggart has three grandchildren, Jennifer, Gabriel and Matthew Swaggart. His grandson Gabriel and wife Jill, head Crossfire Youth Ministries an integral and vibrant youth outreach of Family Worship Center. Pastor Gabriel and Jill have three young daughters , Samantha, Abby and Caroline Frances . Rev Swaggart's grandson Matthew is also active in the ministry. He is married to Joanna Swaggart and they have two sons, Ryder-Presley, Navy Matthew Aaron and a daughter Lola. 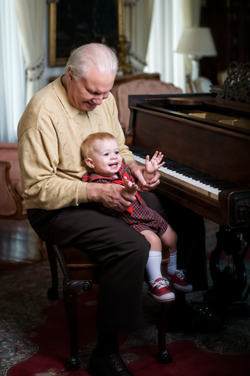 Reverend Swaggart's granddaughter Jennifer, who lives in Atlanta with her husband Cliff, has a further two grandchildren, a granddaughter named Harper and a grandson named Harrison. Family is important to Reverend Swaggart and he enjoys and cherishes the time he spends with them.